The state government of Western Australia has completed the acquisition of land for a gas precinct near James Price Point to support the development of nearby gas fields, despite the majors pulling out of the previously planned Browse liquefied natural gas (LNG) project. Premier and State Development Minister Colin Barnett said securing the land was an important step in ensuring the efficient development of offshore and onshore gas in the Kimberley. “It has taken substantial effort to reach this point, with the support of traditional landholders”, Barnett commented. Under agreements reached with the Goolarabooloo Jabirr Jabirr native title claimant group in June 2011, the completion of the transaction has stimulated an AU$ 10 million economic development fund and an AU$ 20 million for indigenous housing. “I thank the indigenous community for their courage in working with the State Government to secure this agreement and its associated social and economic benefits,” Barnett added. 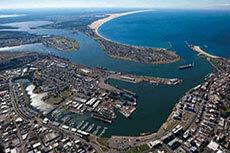 Traditional owners will also have a role in managing the environmental, social and heritage outcomes of the precinct. The James Price Point site was selected by the government in 2009 as the most suitable site from more than 40 locations, with the remote location minimising potential impacts on the community and the access to deep water close to the shore reducing the need for dredging and blasting. “The government is committed to delivering a project-ready site for the development of the region’s world-class gas resources,” Barnett said. Earlier this year, the Browse LNG project led by Woodside Petroleum pulled out of a plan to build an onshore liquefaction plant at James Price Point, after facing cost and other issues. Project costs had escalated to approximately AU$ 45 billion. The energy companies said they would instead develop the project offshore as the Browse Floating LNG venture. In addition to Woodside, the Browse FLNG joint venture participants include Royal Dutch Shell, BP, Mitsubishi and Mitsui of Japan and PetroChina. The land will be returned to the ownership of traditional owners at the end of the life of the precinct. BG Group has completed transactions with CNOOC for the sale of additional interests in the QCLNG project in Australia and the supply of LNG. Origin Energy continues to make progress at the Australia Pacific LNG project, reporting that the downstream component is 54% complete. 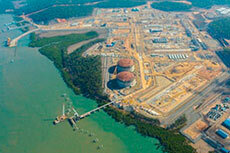 The final modular component for the Queensland Curtis LNG plant has arrived. 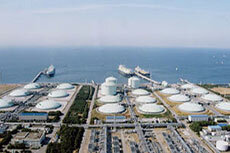 The plant will be the world’s first to convert natural gas from coal seams into LNG.